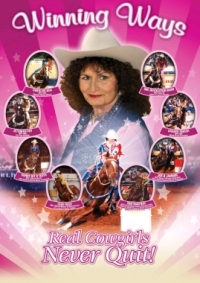 Martha Josey and her Josey Ranch Team have a great website with many resources available. 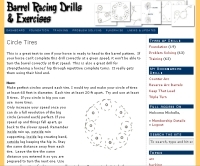 There is information there suited for the beginner barrel racer just learning to barrel race, to the advanced racer that needs to freshen up and be reminded that good horsemanship is where it all starts. This is a great review for all levels of barrel racers. Its a good list to go through and assess where you are at in your own program. Kind of like a “spring tuneup” to see if you have any issues you are missing that could be improved on before you get too far into the season. What is your horses overall appearance? Step back and think what a stranger would think. Is she underweight, dull hair coat, have you de-wormed lately? Assess your feeding program? Is your horse getting everything he/she needs? Are there changes you could make? Look at his/her feet? Are they up to date? Is your farrier doing a good job. The condition of your horses feet will directly affect its ability to perform to its best. Check your equipment. Is it fitting your horse correctly? Properly adjusted? In good condition? Is it safe? Check your tie-down, curb strap, rein length, headstall – every piece. How is your saddle fitting? As a rider – are you doing your part? Are you fit and able to ride to the best of your ability? How is your mental game? Are you mentally prepared to help your horse? Consider videoing your run to see if you are causing your horse problems – perhaps sending an incorrect message. When you are trailering, is your horse comfortable? Too hot? Too cold? How’s your driving…are you giving a smooth ride so your horse doesn’t arrive more tired than when he left? Are you remembering to properly warm up and cool down your horse before and after a workout or run? Is your practice productive/constructive. Are you over practicing or not enough? Is your horse in adequate condition for what you are asking of him/her? Martha Josey goes into much more detail than I have here and has so many other great tips on her Winning Ways section of her website. I encourage you to check them out. She is very positive and offers great advice that stems from decades of barrel racing experience. we leave them up. If I push her at all we knock them down. I do not know how to fix this problem. Do you have any tips? Hi, you are an amazing rider, and I need tips. Also do you know a website I could use to look for horses for sale? Thank you! Hi, my horse isnt a barrel horse but i do compete for fun with my friends in western games. My horse at the second barrel always goes WAY wide and doesnt go to the third barrrel right away. How can i get her to turn tighter and get her to the third barrel? I would look at how you are approaching your second barrel. If you are going in too tight or turning too early he may need to take the room on the backside. Another possibility is that you are rushing him through the turn so he starts running before he finishes the turn. Slow yourself down in the turn and wait on him. In your slow work you can double or triple that turn (go around it again). To emphasize you want him to finish it and not anticipate leaving it too soon. So, I have a quarter/Arab who is a little hot in the aren. He tends to drop his shoulder around the barrel and we cut it too short which ends in a knock. I have worked with him and nothing I do works. Help??? Did you check out the tip from Fallon Taylor on here? You’ll need to correct him going slow in practice but when it comes to competition make sure you ride him deep into the turn. My horse always tries to turn to tight when going around the barrels, and when I try to correct him, he just knocks it over! I’m not sure why he does that. Thanks. In practice, I wouldn’t worry about running home at all. That is the easiest thing to teach a horse (as you’ve probably found). I would work on getting your lope departures quickly away from the pattern before you try and do it on the way to first. You may also want to lope a circle before you start and get the momentum going. Regarding the sidestepping, I would work on round circles and straight lines really keeping that hip where it should be using your legs. thats exactly the sort of things i do with my horses. also i like to walk to my pockets and stop back them up and then let them jog on free riegn. im having trouble with my 2nd barrel. every time i run the pattern a second time, when she leaves the 2nd barrel to go to the 3rd she is extremley wide … i am not able to get her to wrap the 2nd barrel like she does the 1st nd 2nd. but she has never knocked a barrel.. I would post your horse for sale on several classified sites online and in the ad put that you would like to trade for a kids horse.